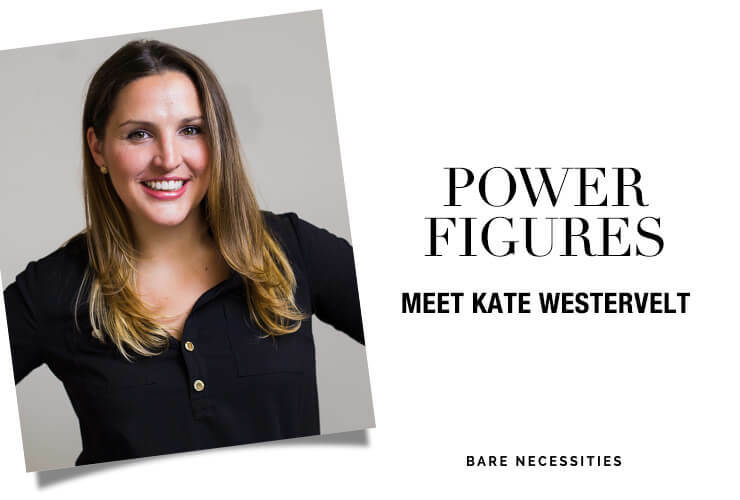 They say necessity is the mother of all invention, which couldn’t be truer than for Kate Westervelt. 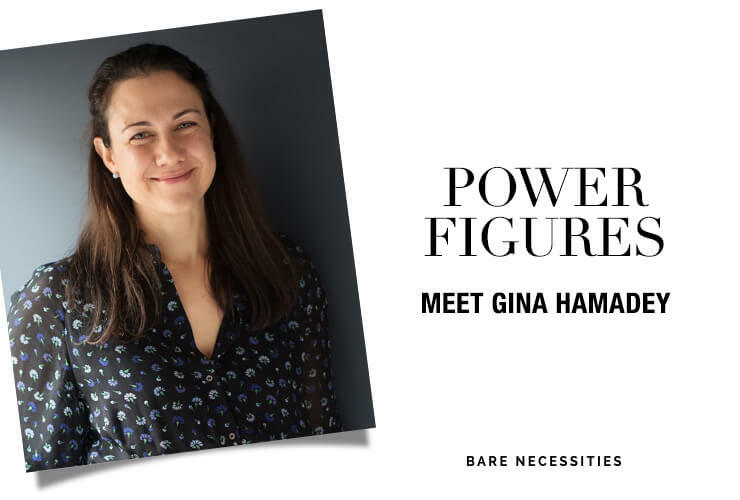 The Boston-based founder and CEO of MOMBOX, a postpartum care kit for new moms, had her brilliant brainstorm in the baby aisle at Target, waddling around in a mental fog with an ice pack in her underwear shortly after giving birth and wishing there was an easier way. 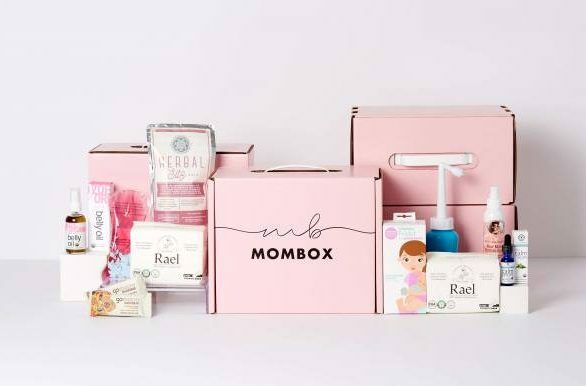 Since its 2018 launch, MOMBOX has helped thousands of women across the country get the recovery goods they need based on the type of birth they had, delivered to their doors. The Millennial pink box comes with things new moms don’t even know to think about, like a sitz bath soak, energy bars and cooling gel pads for tender private parts. Kate spent more than a year testing products and building the site on her own, all while raising her son. It paid off: Yahoo named MOMBOX the #2 most-needed item after giving birth. 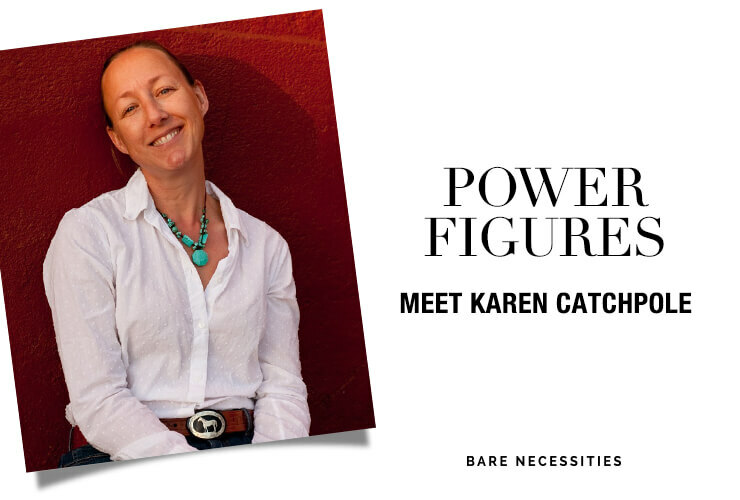 A former editor at Good Housekeeping and The Financial Times and writer for brands including Wayfair, Social Code and The Purple Carrot, Kate is now all in on MOMBOX. 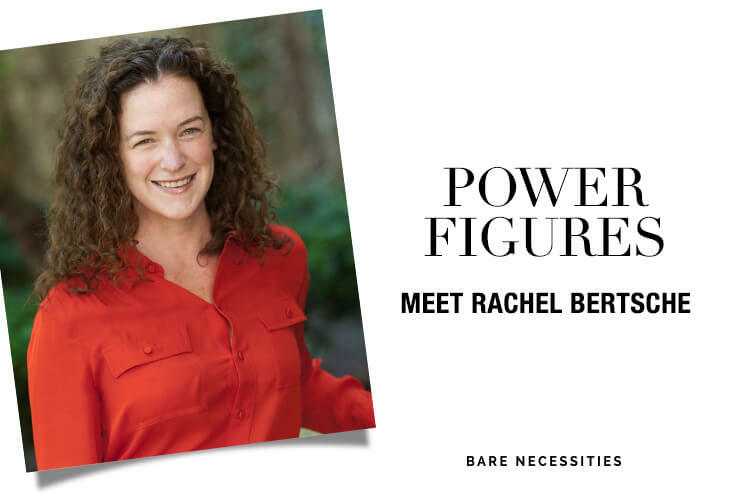 She gave Bare Necessities the scoop on her unique way of supporting women and what it’s like to birth a business…without an MBA. Q: How did MOMBOX come to be? A: I started it in April 2016, after the birth of my son. Like most first-time moms, I prepped the nursery and packed the perfect hospital bag but was blissfully unaware of what my own needs would be after the baby arrived. It wasn’t until we were leaving the hospital that I realized I didn’t have anything in the way of postpartum care at home. I asked my husband to stop at Target so I could pick up things like pads, disposable underwear, perineal care and the like. I had just given birth to a nine-and-half-pound child, my lady parts were all stitched up, and there I was trying to maneuver from the pharmacy to the baby section and back, Googling ingredients and product reviews on my phone while my breasts leaked. It was miserable. Once I got back to the car, I turned to my husband and exclaimed how frustrating it was that even though we can get everything from razors to groceries delivered, no one was providing this convenience to new mothers who need it most. Just like that, the idea for MOMBOX was born. Q: How did you learn to take care of a baby and launch a company for the first time? A: You know, it was very hard to navigate being a new mom, returning to my 9-to-5 job after maternity leave and building this passion project on the side. Looking back, I’m really not sure. I just remember telling myself that I would go until I hit a wall too big to overcome. No pressure. Just keep going until you can’t go anymore or it’s not fun. But that never happened. There was so much power in overcoming hurdle after hurdle that it filled my cup and fueled me more. I left my corporate job about a year ago and things got a little easier. It took a year of grinding all night, every night, but I got there. Q: What is your mission with MOMBOX? What galvanized you to go from having a great idea to acting on it? A: My mission is to give mothers an easier way to prioritize self-care from day one, and to be a resource that makes the path to parenthood a little easier. Hopefully soon we’ll expand into pregnancy and breastfeeding support, as well. I want MOMBOX to support women along the entire journey. The impetus to start came from a perfect storm of random events: First, I lived that Target-run struggle. Second, I received some encouraging words from one of the founders of Birchbox. Third, I walked by a boardroom at the company I was working for and saw only men sitting around the table. I thought it was about time for women to start running things. That chance series of events did me in. I was going to at least start building and see what happened. Q: Coming from publishing, what did it take to pivot in a new direction? How did you teach yourself the fundamentals of business? A: I am very aware, especially in a room full of investors, that I am a self-taught businesswoman. I am much more comfortable talking about brand voice than unit economics. It’s been a slow crawl, but I have read every book, listened to every start-up podcast and Googled things that would make the typical MBA student laugh. It’s not the conventional CEO path, but there’s a real sense of accomplishment in learning as you build. Q: How do you know when you’re on the right track? A: Little things, like running zero advertising and growing month over month because of word of mouth. Or when we hear from women in Kuwait, Ireland, New Zealand and Argentina hoping to get their hands on a MOMBOX because the supplies are so essential yet unavailable around the world. When women take time out of their busy days to send us a kind word because we offered something they needed back in the early days of motherhood…these gestures remind me why we started. A: Inventory planning is a very real, very hard balance. It’s tough to accurately project orders early on, and when you’re self-funded, there’s little room for error. A: Imagine the most put-together, organized, timely family you know. Now throw that image out the window. My husband and I take it one day at a time, beginning around 7 AM and ending at midnight. The hours in between can look like chaos or a marathon of knocking out things on our to-do lists. Each day is different. The perk of being your own boss is that you’re home more, and we generally get to have breakfast as a family. The pitfall is that I usually work all weekend. It’s a dance. Q: As your own boss working from home, how do you segue from Mama to CEO? How do you unplug? A: You are never more efficient with time than when you become a mother. I can get ready for the day in under 15 minutes—full shower, hair and makeup, I swear to you. Two days a week, my son is home with me. There’s no sense in trying to divide myself up between work and motherhood those days, so I work during his nap and late into the evening once he’s asleep, barring anything urgent. My husband is an excellent partner. We do what we call “blocking” for each other. This is when Mama needs to put on her CEO hat undisturbed, and my husband will take my son to the park. I block for him, too. As far as unplugging goes, I will admit, it’s the hardest part. I don’t take a lot of downtime. I set aside a few hours here and there where I ignore everything and read a book, meditate or hike with my boys. Q: What advice would you give to women who want to follow through on an entrepreneurial impulse but don’t know where to begin? How about to new moms? A: To women who want to follow an entrepreneurial itch, just start. Launching something never looks as polished as you think it does in your head. It’s way messier, unkempt and rough. There is no right way to start other than to write down the first five things you’ll need to do—even simple things, like purchasing a URL—and do them. Cross them off, then write down the next five things. Keep going. To new moms: Yep, it is this tough. Despite the endless scroll of perfectly poised moms on Instagram, you’re not alone in feeling overwhelmed. Say “no” more. The more you can protect your space and time in the beginning, the more balance you’ll feel as you learn how to be a mom. That’s the thing—being a mom is a new set of skills. The baby is born instantly, but the mother is born over those first few years. Clear some space to learn at your own pace. Favorite pajamas: For me, it’s the Lauren Ralph Lauren Signature Satin Cami Pajama Set. I recently learned about the importance of having a dedicated outfit for lounging or sleeping, and I upgraded from old sweatpants and tees to this simple set. There’s something about having a uniform for resting that makes that time much more official and sacred. Personal mantra: Listen, then decide for yourself. I feel my most beautiful when: I’m outside in the sun. Best way to de-stress: Yoga. Prized possession: The dining room table my father built it for me. Best compliment: That I look healthy. A professor told me this in college, a tough time for self-esteem. In a world where girls are constantly talking about being pretty or thin, it was impactful to hear. Biggest risk: Bootstrapping a company. Greatest regret: Letting anxiety get the best of me. Most useful emoji: The nervous one with all the teeth. Secret talent: I do a mean Carlton Dance from The Fresh Prince of Bel-Air. Current obsession: How I Built This podcast. Comfort food: Ben and Jerry’s Phish Food ice cream. Favorite book: I Know Why the Caged Bird Sings by Maya Angelou. Mood-boosting song: Anything and everything Taylor Swift. Perfect day must contain: Coffee and a long car ride with my husband. In a word, I am: Determined.